Creative people used to get separate notebooks and sketchbooks for various design tasks and projects. We use plain sketchbooks for our concept sketches, a ruled notebooks for our notes and writing, a dotted or grid based notebook for graphic design stuff and so on. But what if all of those variations can be found in a single notebook? Meet SketchyNotebook, the most versatile notebook and sketchbook for all types of creatives whether you are into writing, drawing, app design and sketching. The notebook consists of 240 pages divided into three parts: a notebook, templates and bookmarks. It brings together the various types of pre-printed template notebooks such as lined paper, graph paper, dot grid, web and iPhone mockups, perspective grid and storyboards. This makes it a perfect tool for note-taking and sketching anywhere for many types of creative work. 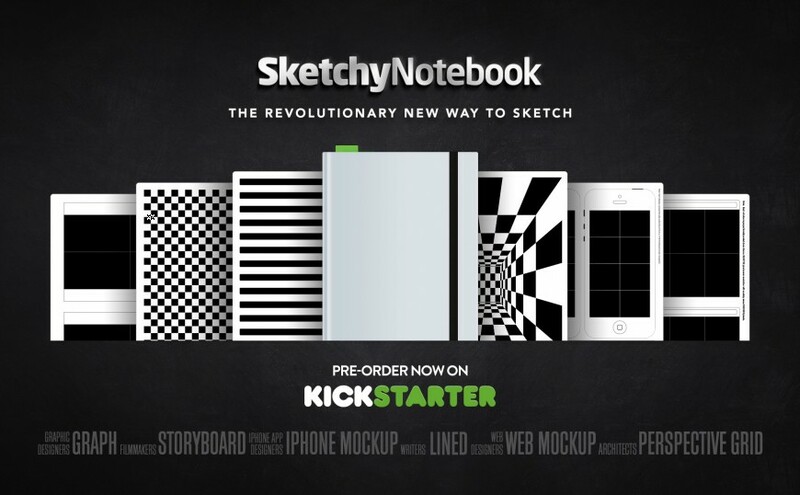 SketchyNotebook is currently available for pre-order on Kickstarter.